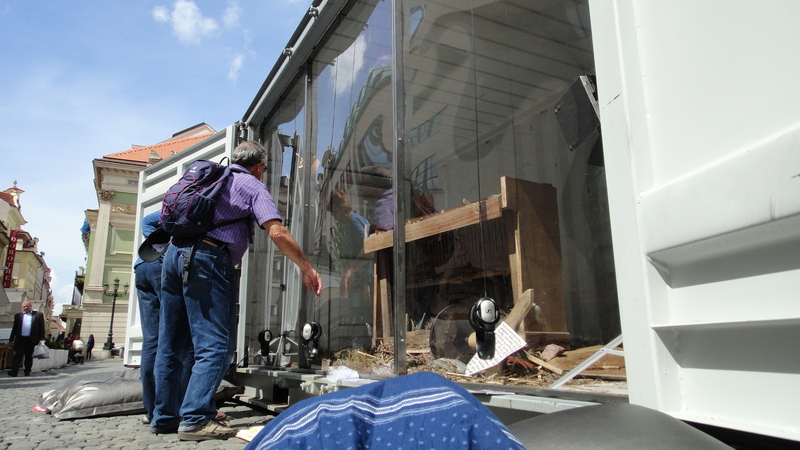 I arrive at the Finnish Container on Monday at around 10:30 to experience The Sound of Music (in a Box). Central Prague can be so quiet in the morning. I approach the container and I listen to the piano speaking to me from the other side of the transparent wall. I can hear the weather conditions in the piano’s harsh and raspy voice. This piano aged quicker than it was meant to, it lived a short but intense life. You can hear the wisdom of its age in the blend of music and the noise of hinges and wood creaking. Through the sound you can even smell and feel the instrument. 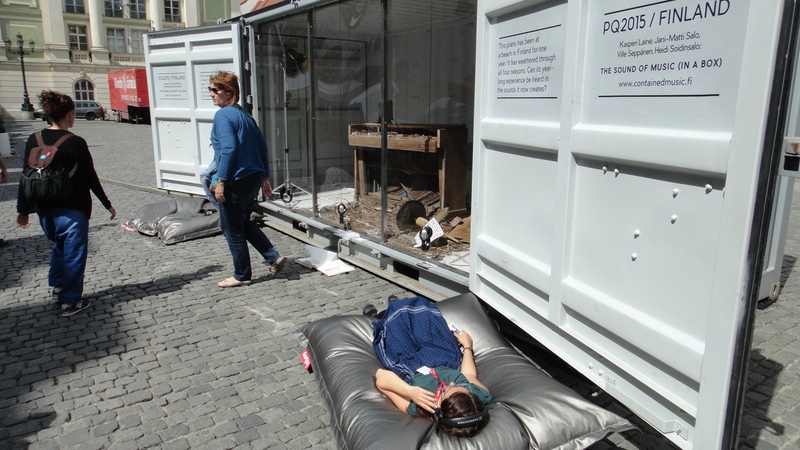 This harsh weather I experience through the headphones is an odd contrast to the sun warming me at the same time as I lay down next to the container. I’m also a piano, affected by the weather and environment, gradually aging and changing. People try out the installation, they glance furtively at me and then walk away. Where are they rushing off to? Maybe they don’t have time to lie down. Such a pity, because they’re missing out on an astonishing journey. DO NOT LIE DOWN ON THE ARTWORK!